Nissan Motor Company limited is a Japanese multinational automobile manufacturer, renowned as the world’s largest electrical vehicle manufacturer with global sales of more than 275,000 electric vehicles. In order to offer a glimpse into the future, Nissan is scheduled to reveal their three electric vehicles at this year’s Auto China event in Beijing. As we know, electric vehicles are the future and the market for these vehicles is increasing day by day especially in China. 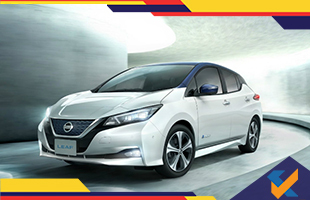 The showcasing of the electric vehicles by Nissan, at the Auto China 2018, will not only describe the growing market for these vehicles but also showcase the company’s strength in this segment. The three electric models which will take the center stage at the Auto China 2018 in Beijing are the new Nissan Leaf and the Nissan IMx KURO electric crossover concept along with an undisclosed new electric model. The company will also showcase its e-POWER electrified powertrain technology. These three models will help Nissan to feature the strength and depth of the company in this highly competitive and growing market for electric vehicles in China. This will also help the company to highlight their dedication and commitment towards combining electrification and vehicles. Introduced in October last year, the new version of the Nissan Leaf has won the 2018 World Green Car award at the New York International Auto Show last month. Since its initial launch in 2010, Nissan Leaf has been sold more than 300,000 worldwide and is the world’s best selling electric vehicle. This model is the flagship of Nissan’s intelligent mobility that describes the company’s vision of how cars are powered, driven and integrated into the society. This model with electric crossover concept is one of its kinds and will debut in this year’s Auto China. It was first unveiled at the Geneva Motor Show earlier this year featuring a new experiment concerning the connection between the driver’s mind and the technology of the vehicle. This model features Nissan’s first system of its kind, the Brain-to-Vehicle technology which is said to interpret signals from the driver’s brain in order to help with the vehicle’s autonomous as well as manual system. This concept will not only help the driver with more convenient and safe drive but also helps to strengthen the bond between the vehicle and the driver since the system learns the patterns of the user and act according to the needs and wants of the user. To conclude, this electric vehicle could be a close reliable partner to the user on a safe and exciting journey. In addition to new Nissan Leaf and IMx KURO, another electric vehicle is on the line to be showcased at the Auto China 2018. Much is not known about the mystery vehicle but it is said that this new model will help to cope with the growing demand of electric cars in China and strengthen the company’s commitment toward the midterm plan, Nissan’s M.O.V.E to 2022 plan and the Dongfeng motor’s TRIPLEONE plan.